All athletes want to stay in the game, be injury free and enhance performance, and teens are no different. But the pressure to focus on one sport and to play it year-round results in using the same muscle groups day after day. Often there is little time to rest and recover, let alone to get stronger or work on injury prevention. One way to address these hurdles is to add Pilates to the training program. A Pilates program can fill the gap for teenage athletes by introducing them to basic Pilates principles; improving alignment; conditioning body and mind; and helping protect against injury. Begin in the Preseason. Ideally, if you are focusing on injury prevention, begin the Pilates program in the preseason, with sessions lasting about 20 minutes (replacing or supplementing the usual warm-up activity). Address Poor Movement Patterns. Look out for faulty movement patterns, substitution patterns, bracing patterns and restrictions in movement, and deal with those within the lessons. For example, female athletes with knee issues can often be observed moving from their ankle or knee joints when performing the side-kick series, rather than initiating movement in the hip. These same athletes often have weak ankles; land in a valgus position when jumping; and need to improve gluteal strength and body awareness. Set priorities for lessons and keep things moving and fun. Relate Pilates to the Sport in Question. Help them understand the basic mechanics of their sport within the context of Pilates. Include Flexibility Training. 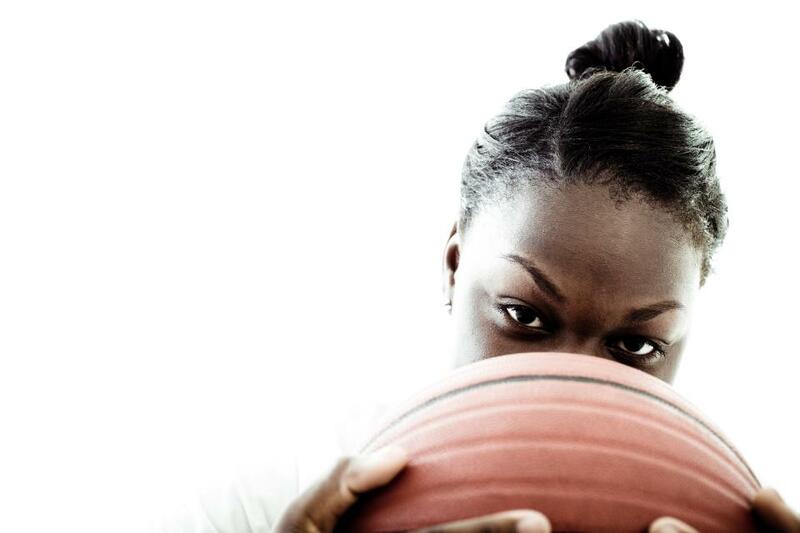 Like adult athletes, teen athletes are often tight and can benefit from extra stretches. Allow teens to enjoy the dynamic flexibility challenges found in the Pilates work and add additional static stretches where they are needed most. Enlist the athletes’ own props as stretching tools! For example, with girl soccer players create a series of stretches that use the ball to teach pelvic differentiation, mobilizing the hips, thighs and backs. With lacrosse players, use the stick as a tool for deepening into stretches and checking alignment of the hips and shoulders. Use Appropriate Equipment. If you are working with prepubescent athletes, focus on the mat. Teens will benefit not only from mat work but also from using the reformer, the Pilates chair and other apparatus. Use props to challenge teens, to provide support where needed, to create a greater sense of connection to their powerhouse and center line, and to improve alignment and body awareness. If you are working with jumping athletes, incorporate the jump board once they have solid basic skills. Teach proper take-off and landing, emphasizing moving correctly through the forefoot and landing with knee flexion, avoiding valgus knee positioning. Teach athletes to use their core as a powerful initiator of movement and as a shock absorber when landing. If you are a Pilates professional who has the desire to work with teen athletes, now is a great time to get involved. Share your skills and education by contacting your local schools or sports clubs and offering a Pilates program. Provide a free session so the kids can experience the effect of the work firsthand in their bodies. Teach the teen captain how to lead the team through abdominal exercises and some basic stretches, so the players can own the work as a team. Learn more about working with young athletes by attending workshops on athletic training and sports performance enhancement and by working with local athletes, coaches and trainers. Contact the Pilates Method Alliance® to learn about Pilates in the Schools. For more in-depth information and training tips, please refer to the complete article, “Pilates: Tools for Teen Athletes” in the online IDEA Library or in the November–December 2010 issue of IDEA Fitness Journal. 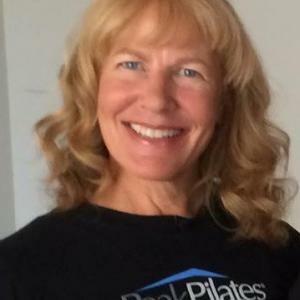 Zoey is an international authority on Mindbody Exercise with over 25 years of experience. First introduced to Yoga and Pilates during her years as a professional dancer, Zoey is passionate about combining science and art in the teaching of movement to maximize human potential. Zoey holds an MSc in Exercise Science with a research focus on alternative therapy and the spine. As a Peak Pilates Master Trainer, she co-authored the Peak Pilates Educational Programs and Peak Trainer Mentoring System. Recently Zoey completed an intensive with Pilates elder and Jungian psychologist Mary Bowen. As a lifelong student of mindbody practices, her journey has encompassed yoga, Pilates, and qigong, as well as lesser known movement practices such as Somatics, dance therapy, Feldenkrais, and Alexander. When Zoey began teaching Yoga, almost 20 years ago, her focus was primarily on Ashtanga Yoga. In 2005 she began to study Jivamukti Yoga and 2 years ago she become certified in the Jivamukti Yoga Tradition first through a 200 hour Vedanta Shala program and next with the 300 hour Jivamukti Instructor Certification. She is grateful for receiving the teachings of Janaki, Bhakta Das, Sharon Gannon, and David Life. Her yoga background also includes Baron Baptiste Power Yoga Teacher Training, the study of Iyengar, and Viniyoga, and numerous workshops through the years. Zoey is also an ACE certified group exercise instructor and a Bodyblade program developer. She has been featured in 8 DVDs, been published in 7 languages, and has travelled the world sharing her passion for mindbody fitness inspiring instructors to keep learning and growing, as well as having been quoted in numerous articles and featured on national television. Zoey works to inspire others to reach for the stars, and believes that real power comes from the inside out. Certifications: ACE and AFAA, Peak Pilates, Jivamukti Yoga Education provider for: ACE and AFAA ... read more.